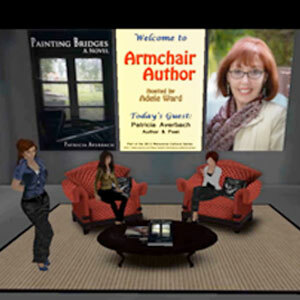 Metaverse Cultural Series 2013 – Armchair Author with Host Adele Ward Video Archive Available – AvaCon, Inc.
Armchair Author host Adele Ward will interview author Patricia Averbach, whose debut novel Painting Bridges was released recently. 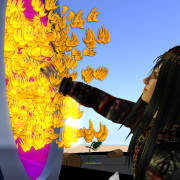 Patricia workshopped this novel in Second Life, so virtual worlds have played an important part in her success as a writer. 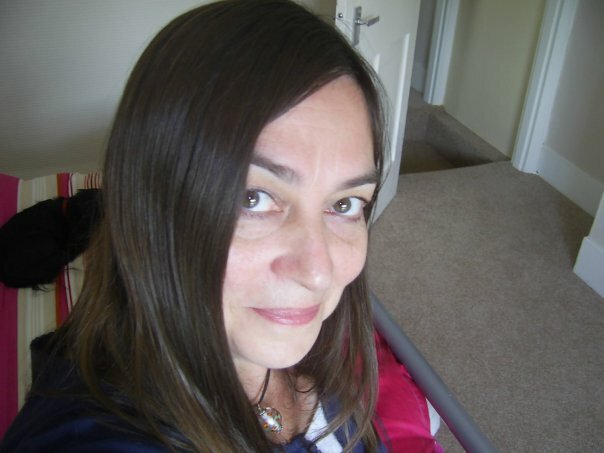 In November her debut poetry collection will be published as a prize for winning the International Lumen/Camden Poetry Competition judged by acclaimed American poet Anne Stevenson, and she will read an extract from the novel and also the winning poem on the show. 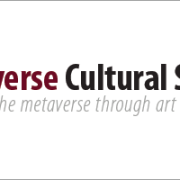 Adele Ward (Avatar: Jilly Kidd) has been running the Written Word group with writing events almost daily for nearly six years. 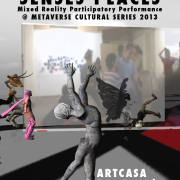 In real life she is an author and publisher with a long career in journalism. 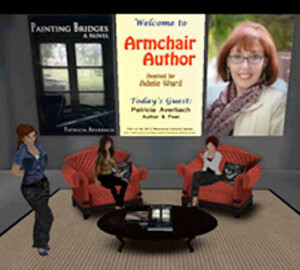 On Second Life she created and ran the Meet an Author show which was broadcast on Treet.TV for nearly three years, interviewing a published author every two weeks, from bestselling authors to debut novelists.